My Item Customizations product is out of stock when I go to check out, what do I do? There are 2 potential causes for this issue. First, please ensure that your Item Customizations product does not have inventory management enabled. 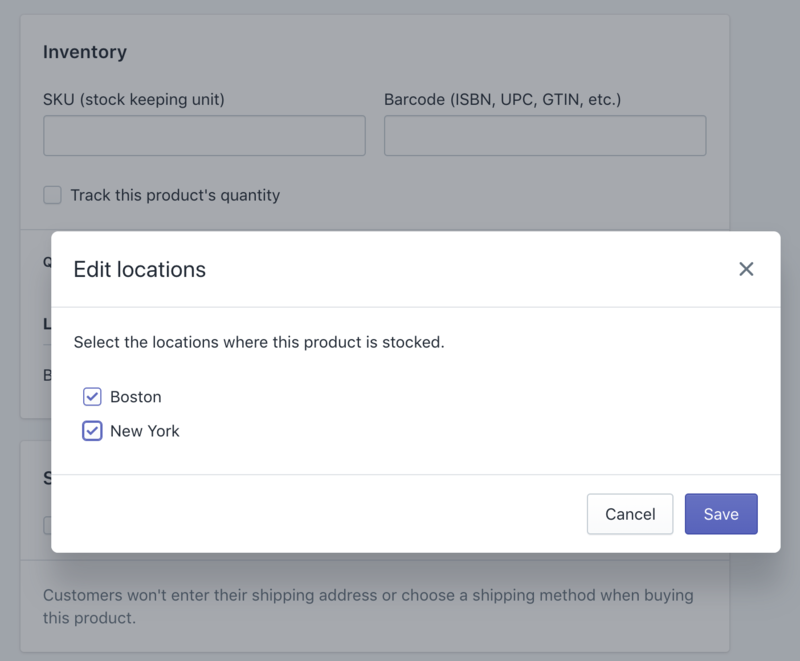 Edit the product, and ensure the "Inventory policy" is set to "Don't track inventory". If your store uses Shopify locations, then you'll need to double-check where this item is available. Edit the product, and go to "Inventory", then view locations. Your Item Customizations product must be available at all locations. If not, click "Edit locations", and be sure to enable this product for every location in your store.